This page is currently undergoing construction. Some of the links are not active or available at this time, however, if you see anything you are interested in and want more information, please feel free to contact the office for assistance. Many of the files that are not yet available online can quickly be e-mailed or faxed directly to you. Click a heading below to skip ahead to that section of stock plans. In each section, the plans are sorted by size, smallest to largest. Click on an image or the plan name to get more information. Noted square footage is the total of main and upper floor area, and does not include garage, basement, screened porches, etc. unless noted otherwise. 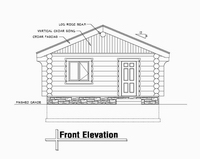 Cabins: Small, compact designs. Often referred to as a Cottage. May or may not have partial loft/upper floor or basement. 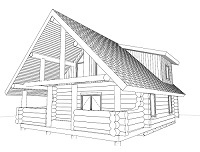 Cabin plans under 1300 Sq. Ft. shown. The Gladstone - 360 Sq. Ft. The Moccasin - 572 Sq. Ft. The Miskito - 768 Sq. Ft. The Dawson - 996 Sq. Ft. The Kato - 1025 Sq. Ft. The Okanagan - 1086 Sq. Ft. The Yakima - 1152 Sq. Ft. The Bannock - 1218 Sq. Ft. The Nootka - 1218 Sq. Ft. The Eskimo - 1244 Sq. Ft. The Kanaka - 480 Sq. Ft. The Saanich - 720 Sq. Ft. The Pawnee - 1142 Sq. Ft.
PATWIN ZUNI More Coming Soon! The Patwin - 1562 Sq. Ft. The Zuni - 1922 Sq. 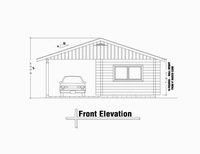 Ft.
Any plan can be built on a crawlspace, concrete slab, or un-finished basement at no additional charge for plans (finished basement charge may apply). 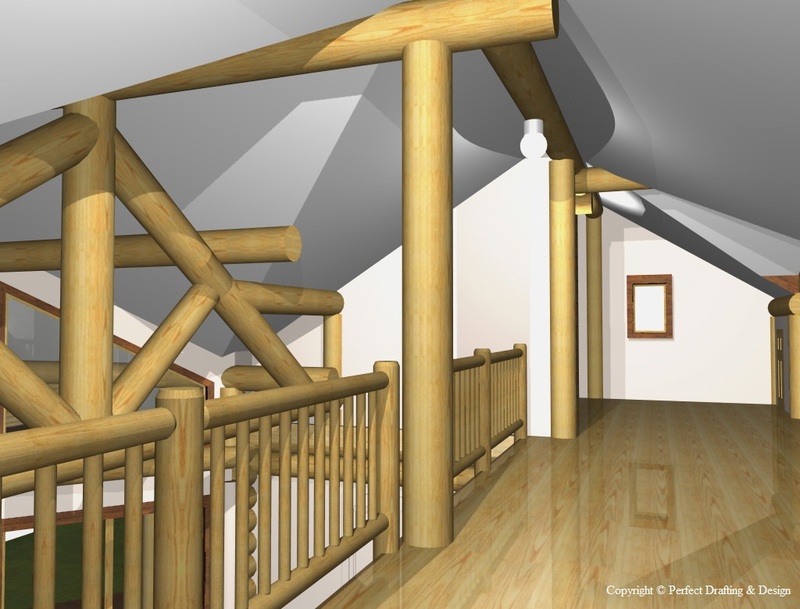 All plans can also be converted to stack log, timber frame, stick frame, ICF, etc. Contact us to discuss options and costs. All prices shown are in Canadian funds, and do not include applicable taxes.